1. Briefly review lesson 15 (link above) as you read 21:22-34. What happened the last time Abraham and Sarah had an encounter with Abimelech? Why did Abimelech and Phicol think God was with Abraham? (22) How had they dealt kindly (23) with Abraham and Sarah? 3. How many times is Sarah mentioned in 22:1-19? Why do you think that’s the case? Do you think Sarah knew what Abraham was going to do before he did it? List a few different ways Sarah might have reacted if Abraham had told her what he was about to do. How might she have reacted upon finding out what had happened after it was all over? 5. Read chapter 23. Keeping in mind our previous lessons about Sarah, what memories of her might have come to Abraham’s mind as he was mourning her death? (1-2) What might Abraham have learned from Sarah’s life about faith, sin, and godliness? 7. What can we learn about Abraham’s character from his encounter with the Hittites in chapter 23? Pretend you’re attending Sarah’s funeral. Write her eulogy. What did we learn from her life? 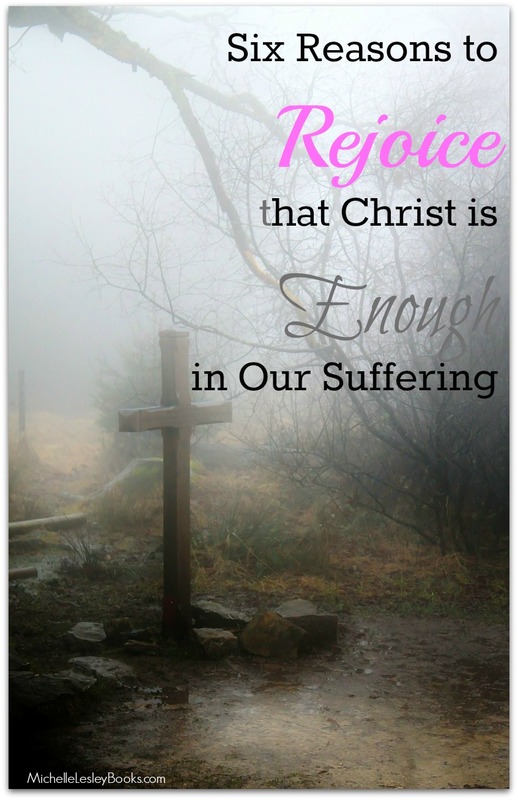 How did her life point us ahead to Christ? 1. In lesson 13, we gave some thought to the idea that God made the formalized Abrahamic Covenant only with Abraham, not with Abraham and Sarah. But notice God’s attention to Sarah in verse 1. Analyze the two halves of verse 1. Who is the subject? The object? What action is performed? Compare verse 1 to Hebrews 11:11. What can we learn about Sarah’s faith and God’s faithfulness from these verses? 2. How old was Abraham when Isaac was born? (5) How old was Sarah? Imagine yourself becoming a first time mom at Sarah’s age. What might you be thinking? What are some of the things you might pray about? What are some new issues you might need to trust God about? 3. What does the name “Isaac” mean? (3- see footnote) There has been much laughter surrounding Sarah’s pregnancy and Isaac’s birth. Examine verse 6 along with these verses. How would you characterize Abraham’s and Sarah’s laughter? Scornful? Unbelieving? Shock and awe? Thinking about how absurd the situation would seem to others? (Hint: Think about how we often see God treat scorn and disbelief of His word in Scripture alongside the fact that Abraham and Sarah are both commended several times in the New Testament.) Who chose Isaac’s name? What kinds of things would Sarah have been reminded of every time she called Isaac’s name? 4. Look at Genesis 16:16 alongside 21:5, and factor in the fact that children were usually weaned (21:8) at 2-4 years of age in that time. Approximately how old would Ishmael have been in 21:9? 5. Read the footnote on verse 9, and examine this verse in a few other trustworthy translations. What set Sarah off? (10) Does this sort of behavior from Ishmael seem to fit with what God had spoken about him? Compare verses 10-13 with 17:18-21. Before Isaac was ever conceived, what had God already told Abraham and Sarah about which son would be “heir” of the Abrahamic Covenant? So what sort of heirship might Sarah have been concerned about Ishmael sharing with Isaac? 6. Compare Hagar’s second “exile” from Sarah’s household in verses 14-21 to her first in 16:6-15. What are some similarities? What are some differences? Which attributes of God are showcased in both of these stories? How is God “the God who sees me” (16:13) and “God hears” (16:11) in the second “exile” as well as the first? 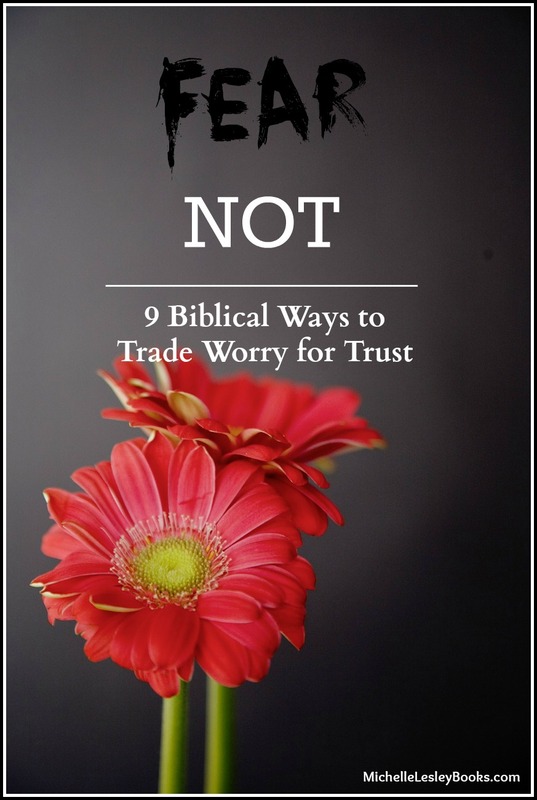 Compare Hagar’s trust in God in these two passages to the lack of trust in God Sarah has exhibited in recent passages. 7. Briefly review Sarah’s actions in Genesis 16 (lessons 11-12) with the consequences in both chapter 16 and chapter 21. How did Sarah’s sin of taking matters into her own hands instead of trusting God impact Abraham, Hagar, Ishmael, Isaac, and herself? Consider the impact Sarah’s sin of failing to trust God had on all the members of her household. Consider the example Hagar still sets for us today because she trusted God. Think about a situation you’re going through in your own life. How could your failure to trust God hurt those around you? How could your trust in God set a godly example that might even open a door to sharing the gospel with someone? 1. Second verse, same as the first. Compare Genesis 12:10-20 with today’s passage. List the similarities and differences between the two incidents. Why would Abraham do this again? Why was Sarah complicit? 2. What did Abraham tell Abimelech about Sarah? (2) Why? (11) Was it true that Sarah was his sister? (12) What can we learn from this story about honesty, deception, and half truths? How did Abraham’s deception put Sarah in danger? In what way did Abraham put his own needs ahead of Sarah’s well-being? How might Abraham’s actions have damaged his relationship with his wife? 3. In what ways did Abraham’s actions demonstrate a lack of trust in God? Think back over the promises God has made to Abraham. As of Genesis 20, have any of these promises been fulfilled? Yet what is Abraham fearful of in verse 11? If God is powerful enough to open the womb of a barren woman and make a couple of senior citizens parents, is He not powerful enough to keep them safe and alive until that promise is fulfilled? 4. In what ways did Sarah have to trust God and trust her husband in this passage? Was Abraham acting in a trustworthy way? Why or why not? 5. The New Testament tells us we are ambassadors for Christ. In a similar way, Sarah and Abraham represented the one true God to Abimelech and his people. Did Sarah and Abraham represent God well? Why or why not? What did their words and actions tell Abimelech about God’s trustworthiness and His power to protect His people? How did God step in and defend His reputation to Abimelech? (3-7,17-18) What did God reveal to Abimelech – and to Sarah and Abraham – about Himself by His words and actions? 6. Examine 1 Peter 3:1-7. What do verses 5-6 tell us about Sarah’s character that might help explain why she twice went along with deceiving a king about her relationship with Abraham? Does God require Christian women to submit to our husbands if they ask us to sin? Is our highest loyalty to God or to our husbands? Is our highest obedience to God or to our husbands? Compare Abraham’s actions to verse 7. How does he measure up? 7. What word(s) would you use to describe the way Abimelech treated Sarah in verse 16? Would you use that same word(s) to characterize the way Abraham treated Sarah in Genesis 20? Why or why not? 8. What consequence had God placed on Abimelech’s household as a result of his taking Sarah? (17-18) Why do you think God chose this particular sign instead of something like boils or famine? 9. In lesson 12, we saw Hagar say of the Lord, “You are a God who sees me,” and that her son would be named Ishmael, meaning, “God hears.” At the conclusion of chapter 20, what are some ways Sarah might have finished the sentence, “You are a God who…”? Have you ever been through a difficult or scary situation like Sarah went through that required a lot of trust in God? Now that He has brought you through it, as you look back, what are some ways you might finish the sentence, “You are a God who…”? Then God said to him in the dream, “Yes, I know that you have done this in the integrity of your heart, and it was I who kept you from sinning against me. Therefore I did not let you touch her. 1. Briefly review lessons 11 and 12 (links above). 2. Read Genesis 16:16 and 17:1. How many years passed between the birth of Ishmael and the appearance of the Lord in 17:1? 3. Compare 17:1-8 with Genesis 15:1-6. Write out the stipulations of the Abrahamic Covenant. Think further ahead into Old Testament history (Exodus-ish). What is God laying the foundation for here with Abraham? How does Abraham serving as the “cornerstone” as it were, of the nation of Israel point ahead to Christ as the cornerstone of Christianity? 4. What was the sign that a person was under the Abrahamic Covenant? (17:9-14) What were the “policies and procedures” regarding circumcision in this passage? Are Christian men today required by Scripture to be circumcised? What is the New Testament sign that a person is in Christ and under the new covenant of grace? 5. Why do you think both the covenant and the sign of the covenant were male-centric? Why didn’t God make the covenant with Abraham and Sarah? Why circumcision, which was specifically male-only, instead of something like ear-piercing which could have also been performed on females? 6. Why did God change Abram’s name to Abraham (17:5), and Sarai’s name to Sarah (17:15)? What did their former and new names mean? Why didn’t God change Hagar’s name? 8. Examine more closely Sarah’s response to the news of her impending pregnancy in 18:11-15. Recall or review (lesson 11) Sarah’s failure to trust God. How does her initial reaction here again demonstrate that she did not believe God’s word, or trust God’s character to keep His promise? 9. Verse 18:12 begins with the word “So”, indicating that the reason Sarah reacted the way she did was because of the information in verse 11. What circumstances (11) were Sarah’s reaction (12) based on? Did she have more faith in the her circumstances and her own personal experience, or in God and His Word? In that moment, was her faith rightly or wrongly placed? Examine Hebrews 11:11. Even though Sarah initially failed to trust God and wrongly placed greater faith in her circumstances and experiences, did her heart, her faith, and her trust remain that way? 10. Carefully examine 18:1-10. What can we learn about the customs of Middle Eastern hospitality at that time? What were some of Sarah’s duties and appropriate behaviors in welcoming guests according to her culture? 11. Review the verses in this passage that specifically talk about Sarah. What else can we learn about her character or her faith that set a good, or bad, example for us as Christian women today? “Is anything too hard for the Lord?” Even though Sarah’s initial reaction to God and His Word was one of unbelief and distrust, God brought her along and grew her into someone who was commended for her faith in Hebrews 11 (often called the “roll call of the faithful” or “the Hall of Faith”). Think back over your walk with the Lord. Can you think of a Scripture you once rejected in disbelief or rebellion that you now embrace and obey? A life situation in which God grew your faith in Him? What circumstances, Scriptures, or people did God use to bring you along from unbelief to belief, disobedience to obedience, distrust to trust? Spend some time in prayer thanking God for growing you through that situation. Is anything too hard for the Lord? At the appointed time I will return to you, about this time next year, and Sarah shall have a son.